Sales Compensation Plan Design and Implementation Services. The sales compensation plan is one of the more powerful tools that managers can use to direct, motivate and reward desired performance. We are experts in sales compensation plan design and implementation specializing in sales incentive compensation plans. Our work with clients focuses on developing innovative, yet practical solutions to compensating all employees who have proactive contact with customers through the sales and service processes. We have written four books and over 100 articles about how to design, implement, and manage for sales success through the sales compensation plan. Sales and Service Job Design Services. We pioneered the concept of “new sales roles” with the publication of our book, Compensating New Sales Roles: How to Design Rewards that Work in Today’s Selling Environment (AMACOM, 2001). The changes taking place in how companies work with their customers often result in new or redefined jobs in Sales, Customer Service and Technical Support. We help our clients define or clarify the roles and accountabilities of their sales and services jobs. Doing so improves communication to sales and services employees about what is expected of them and, thus, how their performance contributions will be judged. Sales performance management involves selecting the right measures to gauge sales success, establishing standards to define expectations, tracking actual accomplishments, and providing guidance to help sales people achieve success. 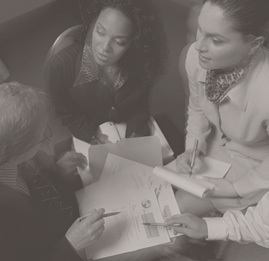 Because effective performance management centers on a planning process, we use models and tools to assist our clients with decision making about the right performance measures to use and the most appropriate approach to take in allocating sales quotas or goals to employees. Also, we work with our clients to clarify or establish sales crediting practices because sales credit assignment influences performance outcomes.